The Adelaide Beer & BBQ Festival (ABBF) returns for a third time in July, with organisers promising to step things up once again. The event coincides with the Australian Craft Brewers Conference and Craft Beer Awards coming to Adelaide for the first time. With the Royal Adelaide Beer Awards also taking place in the same week, it looks set to be one of the biggest celebrations of beer the SA capital has seen. ABBF takes over the Adelaide Showground once more, with more than 60 beer and cider brands in the main beer hall, alongside the ABBF IPA Soundsystem showcasing more than 20 rotating taps of IPA. On the food front, BBQ Ambassador Duncan Welgemoed (Africola) is joined by Matty Matheson from Canada, visiting Adelaide for the first time to be joined by fellow BBQ gurus Fancy Hank’s, Chris Jarmer presents JK BBQ & Smoke, Low & Slow, Comida, Gilbert Street Wings and plenty more. Headlining the main stage will be Regurgitator, Hockey Dad, Ali Barter and West Thebarton Brothel Party. Tickets range from $25 to $40 per session or $70 for a weekend pass and go on sale via the festival website from May 3. Prior to the festival kicking off on the Friday, the Craft Beer Industry Association will be hosting its annual conference followed by the Craft Beer Awards on Thursday night at the Adelaide Oval. 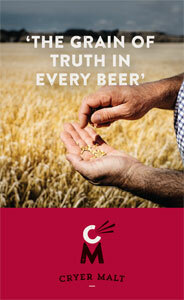 We've got a double pass to the Beer Geek session to give away to a Crafty Cabal member. Cabalistas can enter the ballot via their member's area. We'll pick a winner on July 23.